FallFest ’14 will be here in just a few short hours! This year’s pinnacle event for the simming and online role play community is hosted by Phoenix Roleplaying and chaired by Misty Taylor. Let’s give a special thanks to Misty and everyone at Phoenix for all the hard work they’ve done in preparation for today’s festival. Bravo! 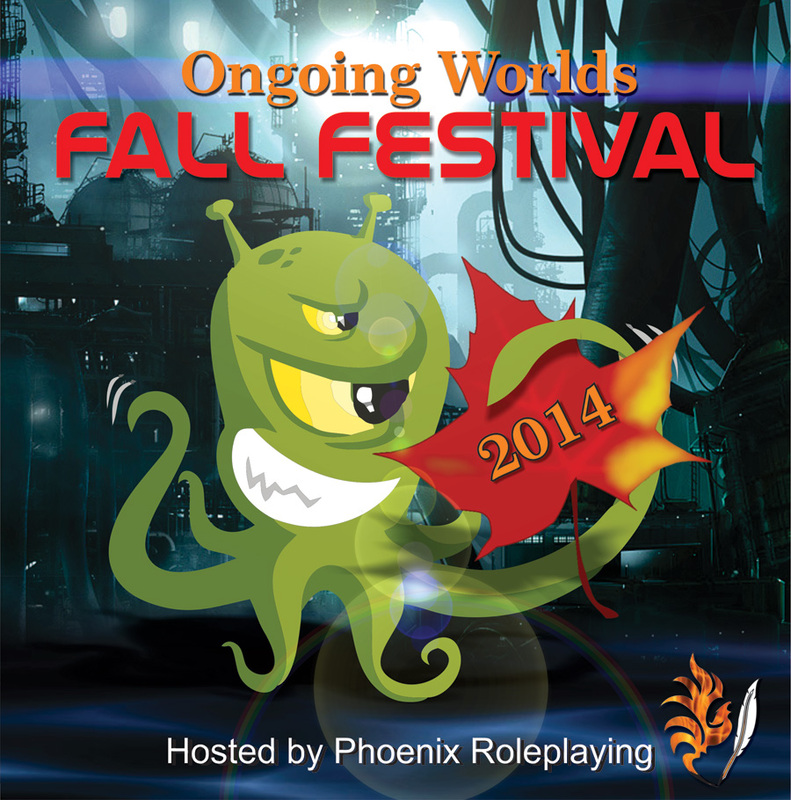 As always, FallFest is open to all simmers and online role players, regardless of rank or club affiliation elsewhere. The schedule of events includes interactive discussions, dynamic role plays, and engaging trivia games. Be there later today at 1:45 PM Eastern Standard Time / 6:45 PM Greenwich Mean Time when Misty and the rest of the team kick things off with the opening ceremony! Below you’ll find a complete listing of events and links to the applicable chat rooms. I’d also like to give a special thanks now to Cheridan of Ongoing Worlds for setting up the incredible chat rooms this year–they’re a big stop up from anything we’ve used in the past. Thanks, Cheri!